Militaries all over the world get an enourmous amount of funding to research new military vehicles and robots. If history has taught us anything about warfare it’s that technology wins wars. Modern day armed forces know this more than anyone. Billions in funds are put into militaries all over the world, but no one country funds more research than the US. The US has come out with some of the most badass, and incredible military vehicles and robots of all time. This is a list of some of the most unbelievable miliary vehicles and robots out there. The Gladiator was developed to support the U.S marines with ship to object manoeuvre missions. The remote control robot is designed to eliminate threats and minimise risks during proposals. It has day, and night vision to improve surveillance, and is one of the most advanced military vehicles of it’s time. The robot can perform reconnaissance, assault and breaching mission within it’s technical configuration. The gladiator can be easily moved to different parts of the battlefield without trouble. The robot is mainly used for supporting other units, and probably wouldn’t be adequate deal with most missions on it’s own. The vehicle even comes with it’s own smoke system, chemical detection, and fitted with an M249 squad automatic weapon. This was one of the most expensive military vehicles of all time, costing an unbelievable $737 million. You would expect something that expensive to be pretty amazing and the Northrop doesn’t let you down. 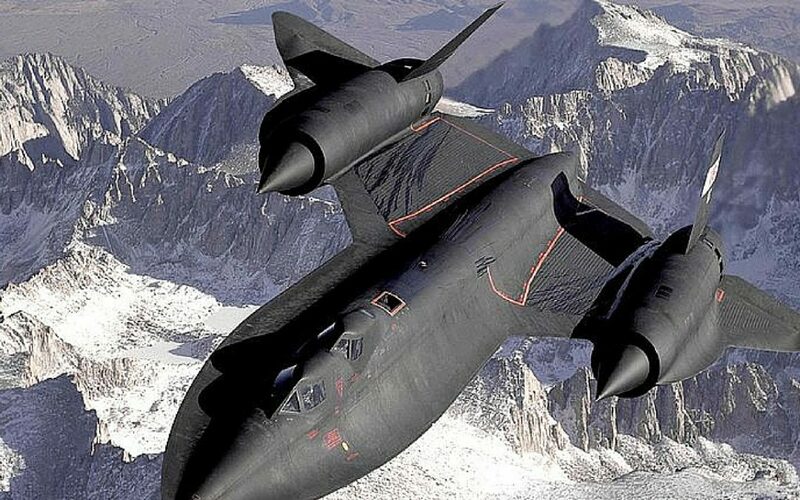 It requires two pilots, and is also known as the Stealth Bomber. The aircraft designed to be able to sneak past enemy defences without being noticed. 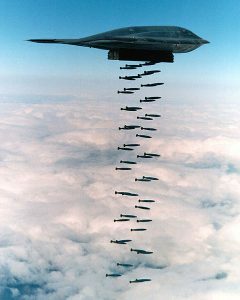 The Stealth Bomber is small and stealthy but it can still deal serious damage. It can deploy both conventional and thermonuclear weapons. It can can deploy sixteen 2,400lb nuclear bombs. The program cost $44 billions dollars. The program was unbelievably expensive but is expected to garner amazing results. This one of the most expensive military vehicles in the world, and may even be the most expensive in the world, this huge ship cost the US $13 billion to build. This aircraft carrier seems impossible to miss with huge size but it’s actually almost undetectable to radar. 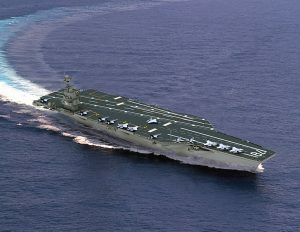 It’s known as a supercarrier, and is being built to replace some of the US Navy’s Nimitz-class carriers. They have built one so far, are now commissioning another one, and plan on building 10 overall, which will cost $130 billion dollars. The carrier will be released in 2019, and will introduce a variety of brand new technology. Developed in Russia, the Punisher is a fast troop carrier with 730 horsepower, and a V8 engine. It’s one of the most badass looking vehicles out there. It can hold up to 10 people, and it’s strong armour can defend against explosions, and other enemy projectiles. Troops inside can point their weapons outside of openings, giving them the ability to attack and defend at the same time. Because of it’s large armour it weighs an emourmous 26,000 pounds, but can still be called a lightweight vehicle because it travels at 93miles per hour. The Punisher’s armour can repel 7.62 millimetre bullets. The Stiletto is one of the largest naval military vehicles ever built using carbon fibre composite and epoxy building techniques. This is a unique vehicle because of it’s speed, hull, and payload capability. The stiletto was designed for missions in shallow water that need to be done quickly. It’s 88 feet long, and weighs 45 tons. The hull is in the shape of an M so that it can provide an area appropriate to mount electronic surveillance equipment or weapons. It can travel at a speed of 110 km/h, because of it’s Caterpillar, Inc. C32 1232 kW (1652 HP) engines. 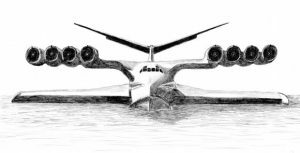 The aircraft was built as an experiment, it flies in the air but stays very close to ground. The ship was actually called “Korabl maket” which means prototype ship in Russian. The Americans actually mistranslated the name when a spy satellite brought back pictures of the ship, with letters on it. When Americans saw the pictures they were gob-smacked, as the vehicle was 100m long but it’s wings weren’t big enough for it to fly. The ship can carry up to 137 tons which means it can easily transport large amounts of equipment. The macguyver bot is a robot inspired by the T.V. Character macguyver. The machine is designed to use random nearby objects that it can use as ways of solving problems it runs into or creating ways to escape possible threats. If you don’t know macguver was a T.V. character that would use everyday objects around him to solve complicated problems. The robot will work alongside humans. They plan to invent a software that identifies an object and then works out things that can be done with it. The robot will hopefully be able to perform rescue missions, so that soldiers can be rescued without risking some else’s life. The Battlefield Extracion-Assist Robot, or BEAR is being developed by a company called Vecna Technologies, that will rescue wounded soldiers on the battlefield. The humanoid robot uses a powerful hydraulics system to life heavy objects like humans. The robot can be sent into dangerous areas and situations, this way soldiers can be rescued with no risk of other humans dying. Bear can rescue wounded soldiers from mine shafts, toxic spills, or even the battlefield. The robot is very strong, and doesn’t tire easily like humans do, so it can carry soldiers over long distances, and rouch terrain, without the use of military vehicles. It’s six feet tall, lifts up to 500 lbs, and has a tough steel torso. 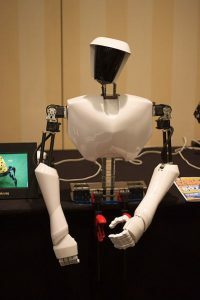 CHARLI is the world’s first full sized humanoid robot than can walk made in the USA. CHARLI can walk in all directions, kick and perform simple gestures. CHARLI reaches a new high for humanoid robots, with robust walking via ZMP-based control about custom sinusoidal gait pattern, improved walking stability, and improved walking and motor functions. 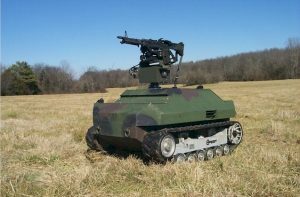 The robot was designed to help the US military deal with fires, and has granted $3.5 million to do more research. One thing CHARLI is famous for is his ability to play football (soccer), and he will even be entering the robot football competition known as RoboCup. The Ripsaw can carry 6,000 lbs, tow multiple military vehicles at a time, and go from 0 to 60 in 3.5 seconds. The Ripsaw performs a variety of missions including convoy protection, perimeter defence, and crowd control, among others. It has a 360 degree camera so it can see all around itself at the same time. It’s made from an aluminium frame, and can travel at a ferocious 95 mph. It’s an unmanned vehicle which can be piloted via remote control from a long distance. It’s self loading, meaning the operator doesn’t have to be there to reload it manually. This means that they can attack the enemy without putting any soldiers at risk of dying.